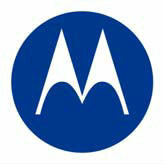 The Motorola AirDefense Enterprise Full Commissioning has been discontinued. No direct replacement is available. Motorola"s AirDefense Enterprise Full Commissioning service provides on-site support for the installation and integration of Motorola AirDefense Enterprise Wireless Intrusion Prevention System (Wireless IPS) appliances and sensors into a customer"s wireless infrastructure. This service delivers an advanced deployment of two (2) appliances "" one (1) primary and one (1) redundant "" and the conversion of up to 10 sensors for multiple locations with advanced functionality, and provides for one (1) day of hands-on end-user training.